The Marcy Chamber of Commerce is pleased to announce the selection of Kristina Inessa Zhushma as recipient of its annual $500 scholarship award. This award, made by committee decision, is based on scholastic achievement, school activities and community commitment. Kristina, a recent graduate of Whitesboro High School, will attend Mohawk Valley Community College in the fall. She plans to take a leave of absence for the second semester to attend a six-month Bible school in Florida, returning to MVCC for summer courses. In Fall 2012, she will enter a four-year college to complete her degree work as a psychology major with a goal to become a marriage and family therapist. During high school, Kristina was secretary of the National Honor Society, vice-president of the International Club, member of the Advisory Council and she participated in the band. She was recognized with an Award of Appreciation from BOCES. Kristina’s contributions to the community have been diverse with such activities as volunteering at the Rescue Mission, at nursing homes, and with youth at her church. In addition, she worked as a tutor, served as a camp counselor, directed both teen and youth choirs and participated in Marcy’s community-wide cleanup projects. 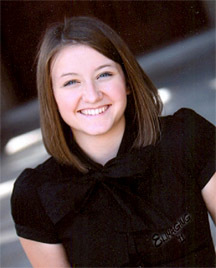 Kristina also enjoys volleyball, playing the piano and singing. Kristina is employed at River Road Farm and Greenhouses, owned by chamber members Jan and Karen Barendse. According to her employers, Kristina will succeed because of her excellent work ethics, friendly personality and trustworthiness. The value of a distance MBA degree also depends on the reputation of the institute that offers it. Since the coursework in a distance MBA course is largely similar to that of a regular one, the institute providing the degree matters a lot too.